A special-delivery letter from Lucy's mother arrives ("Dear Lucy: How are you, and how is Xavier? "), informing them that "a friend's roommate's cousin's middle boy, Ernest" is coming to New York from Bent Fork, Tennessee, and will Lucy and "Xavier" show him some hospitality? "Cousin" Ernie appears and soon disrupts the Ricardo household with his early-morning warbling of "Wabash Cannon Ball." 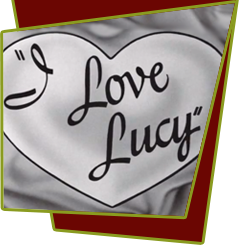 In an attempt to get rid of the overbearing house guest, Lucy dresses like a "wicked city woman", the type Ernest's mother warned him about, and proceeds to seduce him. Unfortunately for Lucy, Ernie likes the "vamping" and decides to extend his visit, commenting: "Ya took me to yer bosom, I've got a home." Special Notes: In the letter from Lucy's mother, she refers to Ricky as Xavier. This is a reference to Xavier Cugat, for whom Desi Arnaz worked for at one time.